I just spent 2 weeks in Japan and 8 days in Arkansas with my family, so I’ve fallen really, really far behind on updating Andy’s (my 6 year old son) progress on his goal to reach 90 books in 90 days this summer break. I’m going to do this update the cheap, easy way to save some time. Clifford: The Dog Who Cried Woof! This gives Andy 55 books for the summer. He’s on a pace to surpass his goal of 90 books in 90 days. He’s suddenly a reading machine, my big guy is. He’s flying through books faster than I can update this page. His goal is 90 books this summer, but I think he’s on a pace for 150! 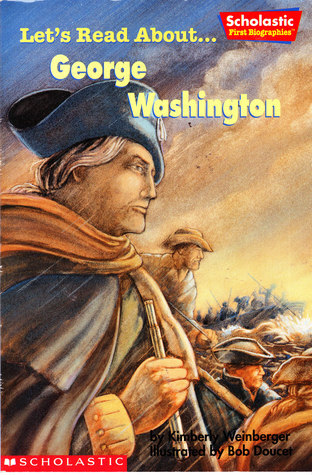 I don’t know where he got it, but he came out of his room yesterday with Let’s Read About… George Washington, a kids biography of our first president. He got stuck on a few words like revolution and presidency, and had a lot of questions like “why were we fighting England” and “why did they pick George Washington to be president,” but that’s the whole point of reading, isn’t it? The best part was that after reading it, he told his mom all about George and she told him that George was such a good person that he can not tell a lie. Andy was having some issues with lying recently, but now he says he wants to be like George Washington and won’t lie again. 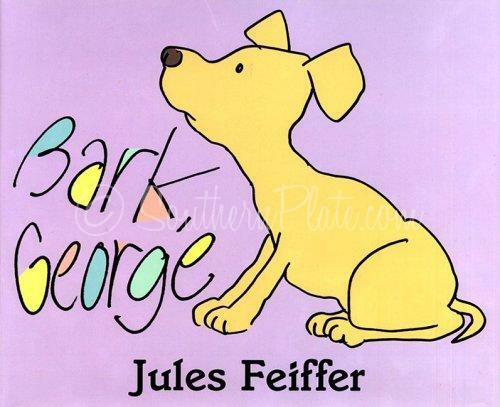 We found Bark, George on a list of “must read before the end of kindergarten” books. He finished kindergarten 2 weeks ago, so he’s a little late on that one, but he loved Bark, George so much that he read it to me, to his mom, to his brothers, and a few time just for himself. I understand why, it’s a fun book. 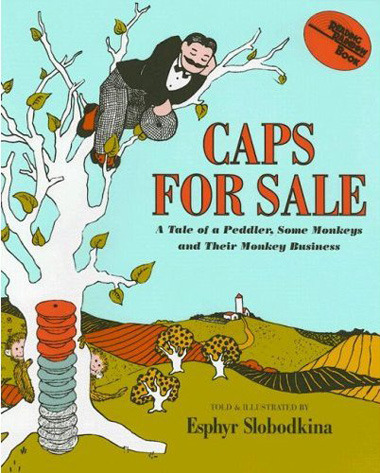 That list of 50 must read books had a few others on it, so we got Caps for Sale out of the library, and even though he’s read it 100 times already, he pulled Green Eggs and Ham off the shelf to read again today. Both are classics, and should be read by every kid at some point and time. 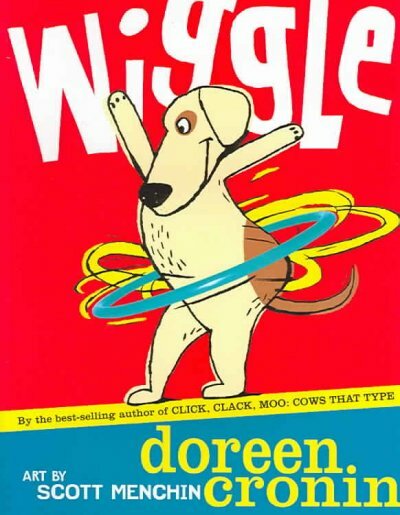 Wiggle was a book that we got out of a Cheerio’s box about five years ago. 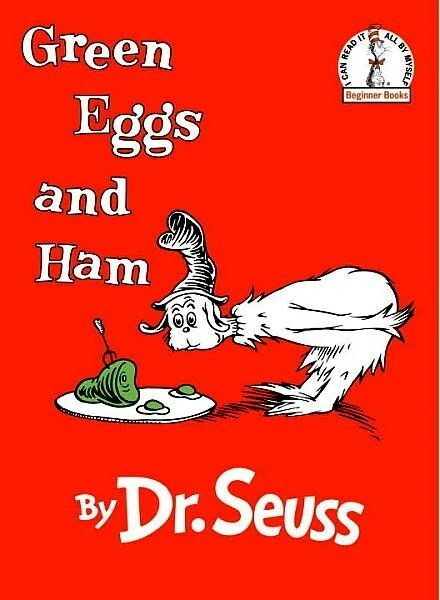 Andy loved it so much as a little kid that we probably read it to him 100 times. Then, when the twins were about a year old, they went through a phase where we had to read Wiggle every single night before they’d go to sleep. Then, one of them would always sleep with it. That phase lasted almost an entire year. I wouldn’t be exaggerating if I said I’d read that book over 200 times. I think I know most of it by heart. Now, the little paperback copy from the cereal box is long gone, and the hardcover one is more tape than paper, but Andy wanted to read it this morning. 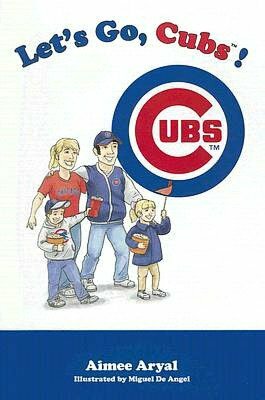 Finally, Let’s Go Cubs is a fun little book about a family going to a Cubs game. I think they made the same book for almost every team, but change a few words and a few of the pictures, but it was one of the first books Andy ever got from his grandparents, so it’s always been one of his favorites at bed time. I think today was the first time he read the whole thing on his own. That’s a total of 25 books for Andy so far this summer. I think he’s easily going to reach his 90 book goal. At the end of the school year, I challenged all my students to read 90 books in 90 days over the summer. I have no idea if anyone took me up on the challenge, but my 6 year old son, Andy, overheard me talking about it and decided he wanted to too. He’s still being a normal kid – 2 baseball games this week, a trip to the forest preserve, and playing superheroes in the backyard with his brothers have taken up most of his time, but it seems that all the time he used to spend watching TV is now spent reading. It’s awesome. Today is Friday, and the TV hasn’t been on in our house since Sunday night. Since I last updated the world on Andy’s 90 book progress, he’s finished 13 more books! That puts him at 23 books read so far this summer! Some of them are easy, some are pretty challenging, some he reads on his own, some he wants to read to his brothers or to me. None of that matters as long as he’s reading. I hope all my students are too. 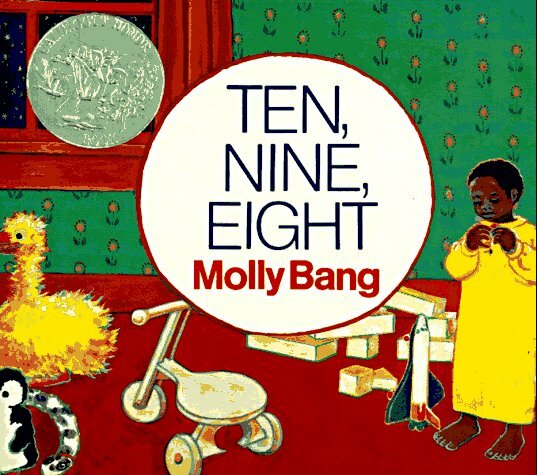 First, he read Ten, Nine, Eight a Caldecott winning counting book to his little brothers (Jake and Josh, both 3 years old). They seemed to like it, and can’t stop pointing out numbers everywhere they go now. Yesterday, at Andy’s baseball game, they told me all the kids’ jersey numbers – except number 11 and 12, because those weren’t in the book. Next was Robots: Meet the Robots an early reader book book that Andy found at a library book sale a few years ago. It had big words like technology and industries that I was pretty impressed that he was able to handle on his own. 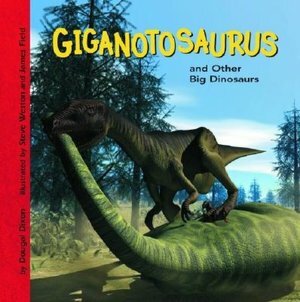 His second dinosaur book was Gigantosaurus and Other Big Dinosaurs. Thanks to Dino Dan, Andy knew how to pronounce most of the dinosaur names better than I could. We both learned a lot about prehistoric plants and animals from this book, so I’m sure when we make our next trip to the library, we’ll pick up another book from this series. Last summer, in our home town of Plano, a whole bunch of Hollywood people showed up to film a new Superman movie. Ever since then, the whole town is a little Superman crazy. The sign that welcomes people to town mentions the movie, there’s a big Superman/Smallville mural in town, the hardware store has a big picture of the hero to advertise their super savings, the local ice cream shop has a Superman flavor… Superman is everywhere, even at the local dollar store, where I found a bunch of Superman board books. Andy just read Superman: Secret Superpowers to his brothers the other day. One of the cool perks of being a teacher is that every once in a while you get some free stuff. Whenever students order from the Scholastic book order forms, the teacher gets some “points” that they can use for free books. Usually I get books for the classroom, but sometimes, when I see something good, I get some books for my kids. Last year I got them the Fly Guy books. Andy loves them because their gross and hilarious. This week he got on a little Fly Guy kick and read three of them: Hi! Fly Guy, There Was an Old Lady Who Swallowed Fly Guy, and Shoo, Fly Guy! Miss Bindergarten Gets Ready for Kindergarten is a fun little book that Andy’s grandma bought for him about a year ago, as he got ready for kindergarten. I think he’s getting nostalgic for his kindergarten classmates, because the other day he read this one three times, then paged through his school yearbook for about an hour. All of these books put Andy at 18 for the summer. I’ll update on the next bunch later on. How many books have you read so far this summer??? Andy’s just flying through his books now. Of course we’ve done other things this summer – his little brothers had a birthday party at Chuck E. Cheese, he had a Memorial Day cookout at Grandma and Papa’s, and we had a few baseball games. But the last few days he’s spent a little bit of time when he wakes up and a little time before bed reading. Lately he’s been all about superheroes, so it was no surprise when I went into his room and saw him reading The Amazing Spider-man: Flying High. There’s sure to be more superhero books coming up, because yesterday’s trip to the local library ended with an X-Men and Hulk book in our pile. In the car the last few days he wants to read. I can’t do it, because I get carsick if I’m trying to read in a moving vehicle, but this seems to be when he tackles chapter books like The Magic Treehouse #5: Night of the Ninjas. Ever since we found the show Dino Dan, which my kids love, but I think is one of the most obnoxious shows on TV, but I deal with it, because they seem to learn a ton from it, Andy’s been into dinosaurs. Superheros have taken over lately, but he picked Triceratops and Other Forest Dinosaurs at the library and plowed through it in no time. He needed help pronouncing some of the dino’s names, but so did I. 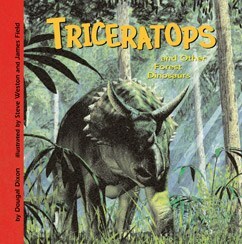 We returned that one and got another dino book from the same series this week. Twice a year our local library has a book sale. I have no idea what they charge the first five days of the sale, but I show up every time on the last day – Saturdays. Those days you get a plastic grocery bag and can shove as many books as you can fit inside for just $4. Last time I wound up with two bags – 83 books for just eight bucks. 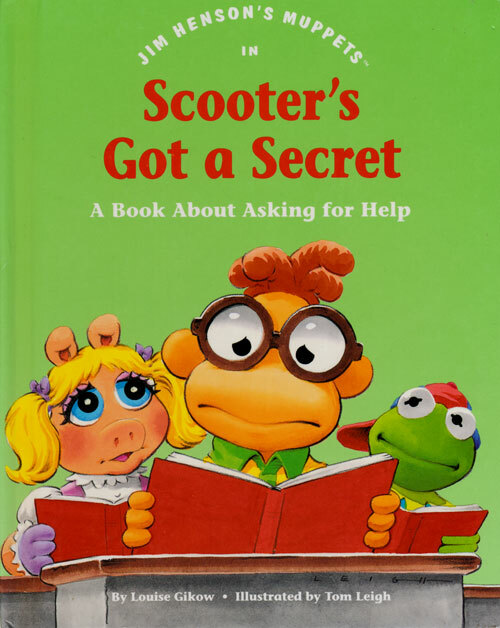 Scooter’s Got a Secret is a Muppet book I grabbed at the last book sale for the little boys. It’s far too difficult for the three year olds, so Andy read it to them the other day. Ten, Nine, Eight was another one we got from the library to read to the little guys, but the cool artwork – which is why it’s a Caldecot Honor book – grabbed Andy’s attention. Finally, another book we got from the library sale – this one a few years ago, and Andy never seemed interested in reading it until now. Robots: Meet the Robots is a simple story from the animated movie Robots. The movie was okay, but the book was not that great. It did have a lot of tough vocabulary words like technology and industries, so that was kind of nice. Andy’s officially on his 9th day of summer break, and he’s now read 12 books. I think he’s got a good shot at finishing 90 in the 90 days. Andy’s mom had to take the car in to the shop yesterday. Nothing major, it’s just an old car, so she wanted to get everything checked out before we went on our family vacation in July. Usually, Andy (the 6 year old) would pick out out a movie to watch in the car, but now he’s really motivated to read. That’s the kind of complaining I can accept. 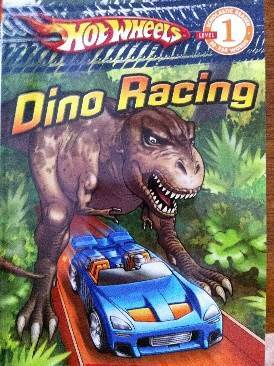 First he read Dino Racing, a Hot Wheels book about some cars that are in a race through a jungle filled with dinosaurs. It doesn’t make much sense to me, especially why there’s a life sized, bright orange plastic racetrack zooming through the jungle… but, because it combines two of Andy’s favorite things (dinosaurs and race cars), it’s been one of his favorites for a long time. If the sequel adds monster trucks and superheroes to the mix, it’ll be the perfect book for Andy. The second book he read was Spider-man 3: Spider-man versus Sandman. See, I told you he likes superheroes. This one tells part of the Spider-man 3 movie. 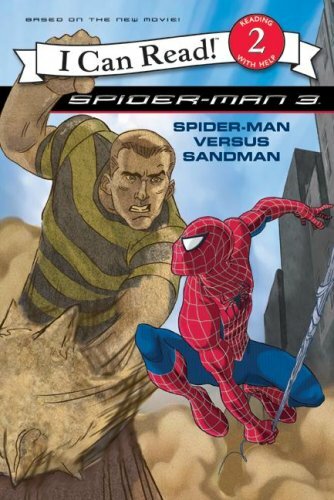 It’s a real simple version of the Sandman scenes, taking out all the parts of the movie that are about Venom or the Green Goblin. 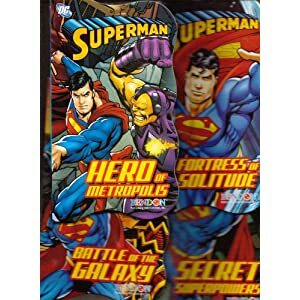 I read somewhere once that comic books have a higher vocabulary than other books, and that superhero stories do a great job at promoting scientific knowledge. If you think about how many superheroes and villains are scientists, I guess it makes sense – Spidey, Dr. Octopus, the Hulk, the Leader, Iron Man, Whiplash, and Mr. Fantastic just off the top of my head. I bet there really is a lot of science to be learned from comics. Finally, last night at bed time, Andy didn’t want me to read a story. Nate the Great and the Phony Clue. He wanted to read to me. He fell asleep in the middle of a sentence, but finished the book this morning. As soon as he was done, he asked if he could go to the library today to get more Nate the Great books. With all this rain, I’m sure his baseball game will be cancelled tonight, so I bet we’ll be headed to the local library. I know there are a few more Nate the Great books, but Andy will be looking for the one where Nate gets superpowers, drives a monster truck, and fights a dinosaur. That’s 10 books for Andy so far this summer. He’s shooting for 90 books in 90 days. Can you beat him? Today my big guy, Andy, who just finished kindergarten this week, tackled a few books. He heard me telling my wife about my goal of reading 90 books in 90 days this summer, so he wanted to play along. The first book he read today was a chapter book – the first one he’s ever finished all the way through – called The Magic Tree House #6: Afternoon on the Amazon. He says he really liked the bugs in the book, but his favorite part was the monkey that helps the two heroes – Jack and Annie. He said the ending was a little sad, because the kids had to say good by to their mouse friend, Peanut. He has 5 or 6 more Magic Tree House books on his shelf, so I bet he gets into those soon. I’m betting the one about ninjas will be pulled out before the weekend is over. 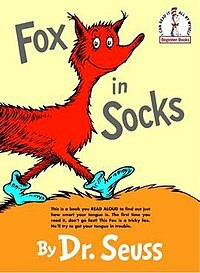 Later in the day, he read Fox in Socks by Dr. Seuss. I bet I’ve read this one to him 30 times, and we always have fun trying to do the tongue twisters faster and faster. His little brothers always laugh when we mess up and start giggling about it, so I think Andy did that on purpose a few times. So far this summer he’s already read 3 books, so I don’t think 90 will be a problem for him. On the plus side, I haven’t said a word to the kids yet, but our TVs been off the last two days. With so many good books, I don’t think anyone’s even missed it.